sXe Injected v11.6 Fix 2 is an Anti-Cheat system CLIENT|SERVER. With this installation you prevent any cheat program be loaded on the game. sXe Injected software was designed to operate with motor of Half Life Servers (Counter Strike 1.5, Counter Strike 1.6, Day of Defeat, Condition Zero, etc).To play on a server with sXe Injected you need to install the client (DOWNLOAD CLIENT), and then execute before you run the game (CLIENT INSTALLATION). 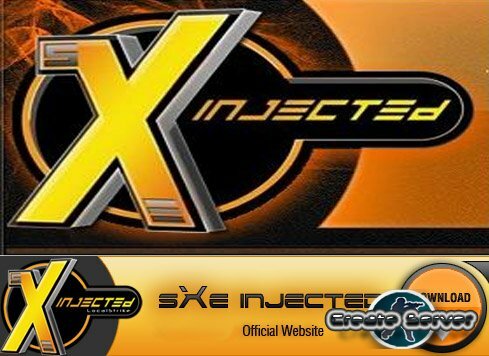 sXe Injected v11.6 Fix 2 is an Anti-Cheat system CLIENT|SERVER for CS. sXe Injected v11.6 Fix 2 is installed Between the engine of the game and the mod, preventing any cheat access to any information of the game. The communication client|server is controlled by the client sXe Injected. Qweas is providing links to sXe Injected 11.6 Fix 2 as a courtesy, and makes no representations regarding sXe Injected or any other applications or any information related thereto. Any questions, complaints or claims regarding this application sXe Injected 11.6 Fix 2 must be directed to the appropriate software vendor. You may click the publisher link of sXe Injected on the top of this page to get more details about the vendor.